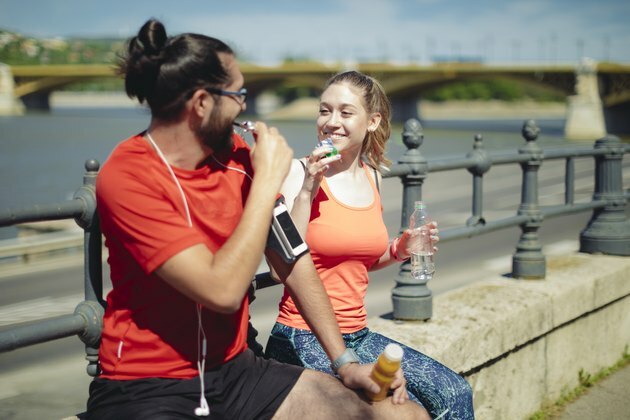 When you're trying to decide how to fuel up before and after a run, your go-to strategy may be to down a sports drink and chomp on an energy bar or piece of fruit. However, another option is chocolate. Some evidence suggests that consuming moderate amounts of chocolate could actually boost your performance during exercise and may also help improve your recovery afterward. In a 1996 study published in Biomedical and Environmental Sciences, 16 male college-age students who ate a chocolate bar before a moderate-intensity run had higher blood sugar levels 15 minutes into their run and all the way through 30 minutes after their run than when they had a placebo supplement. In fact, subjects' blood sugar levels dropped to below a normal range 30 minutes into their exercise when they had no chocolate. That means the group who at the chocolate before their run had greater blood glucose (fuel) to draw from during their workouts, which could help sustain them for a longer period of time. Subjects who ate chocolate pre-run also showed other indicators of improved performance, stamina and recovery — such as a lower rate of perceived exertion and favorable blood lactate levels. 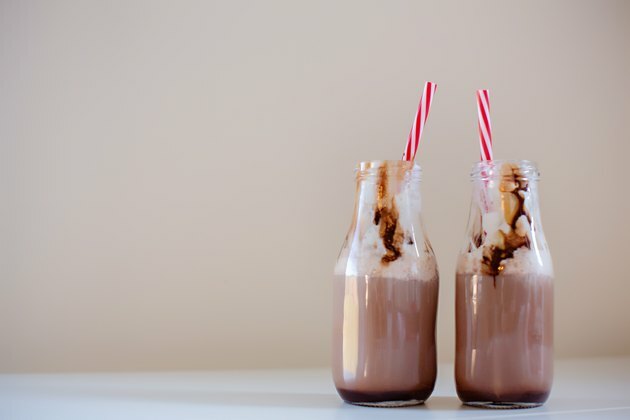 And what's more, chocolate milk might also help you recover in between two intense running workouts, based on evidence from a 2006 study published in the International Journal of Sport Nutrition and Exercise Metabolism. Although this study didn't focus on runners (and it was also a small study), chocolate milk may offer you similar physical stamina benefits during long-distance runs. However, chugging down chocolate milk probably isn't ideal if you go only for the occasional short jog, especially if your goal is weight loss or maintenance. How Does Chocolate Help With Performance? Along with being a source of carbohydrates (specifically, sugar), which can boost exercise performance. Reserchers have been looking into other possible reasons why chocolate appears to aid workout performance and recovery. In a 2011 study published in the Journal of Physiology, researchers split sedentary male lab mice into different groups to study the effects epicatechin, a chemical found in cocoa, on their physical performance. When researchers gave all groups a treadmill test, they found that mice given epicatechin and a light, 15-day training regimen in advance outperformed control groups and an epicatechin group that did not exercise. Researchers also discovered that the group of mice that got epicatechin and no exercise outperformed a group that got exercise but no epicatechin. After researchers biopsied the mice's muscles, they found that the cells in the muscles of mice given epicatechin were making new structures that help produce cellular energy. The more of these structures a muscle has, the less susceptible it is to fatigue. Still, researchers would need to conduct more studies to determine whether this effect is identical in humans eating cacao-rich dark chocolate before a workout. Just because having some chocolate may help boost your running performance doesn't mean you should feel free to chomp or guzzle it down. Chocolate is packed with sugar, and many Americans already consume more than is recommended. The American Heart Association recommends that women stick to no more than 25 grams of sugar a day and men limit their intake to about 36 grams a day. As a point of reference, an ounce of dark chocolate contains almost 7 grams of sugar and one cup of chocolate milk contains almost 29 grams.